Brian, a clean-cut, recent college grad, takes a side job in an underground casino in New York City to make extra cash to help his derelict brother out of a jam. Nothing goes as planned, and soon Brian is forced to team up with a charismatic co-worker to rob the mobsters who run the casino. 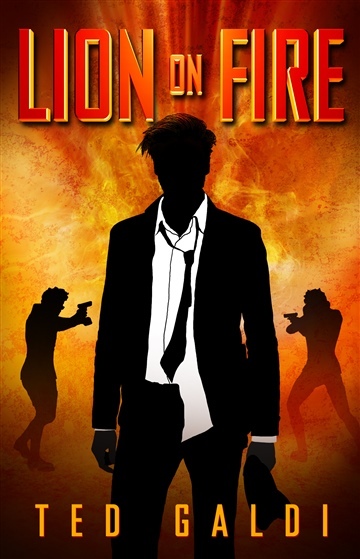 Lion on Fire is the third book by Ted Galdi, the Amazon #1 bestselling author of Elixir and An American Cage. He’s been featured by Kirkus magazine, ABC, FOX, iHeartRadio, and many other media outlets. Ted Galdi, an Amazon #1 bestselling author, has been featured by Kirkus magazine, ABC, FOX, iHeartRadio, and many other media outlets. He's a winner of a Reader Views Reviewers Choice Award and a Silver Medal in the Readers' Favorite Book Awards. Ted is a graduate of Duke University. His available releases are the books Elixir, An American Cage, and Lion on Fire, and the short stories A Road to Nowhere and Hazel Is Missing. To learn more about him and take advantage of his free offers, visit his website at tedgaldi.com.